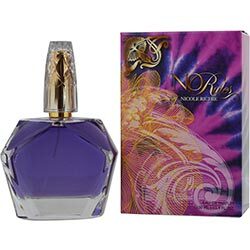 No Rules by Nicole Richie captures the essence of freedom. Introduced in 2014, this amazing scent for women combines the notes of frangipani, coconut water, elderberry, kumquat and purple jasmine. The unique fragrance is very exotic and tropical. It is a perfect blend to wear to the beach or help you get through those long winter months by making you daydream of sunny summer days. The scent promotes feelings of happiness and warmth, making it an excellent choice for any occasion. This is actually a nice scent. Its not citrus solely, but has a spicy touch. Is it my favorite? No. But it is quite pleasant. It isn't a regrettable buy.